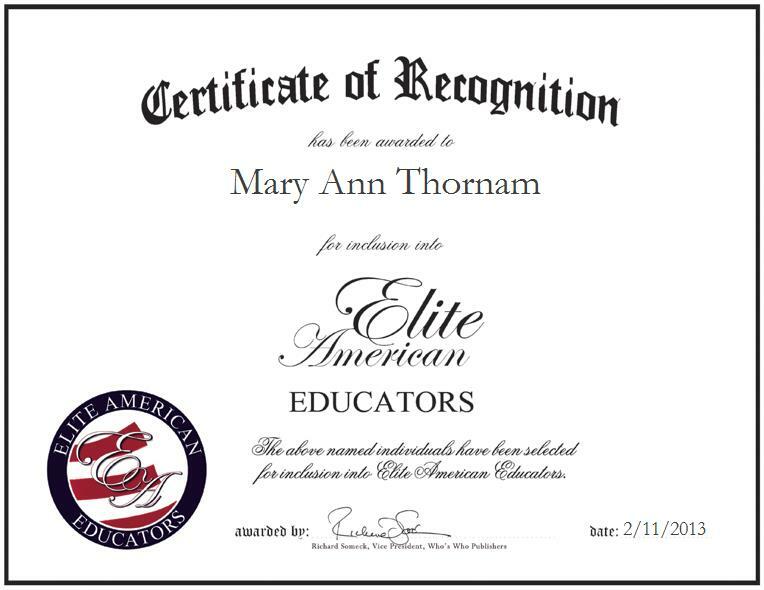 Mary Ann Thornam is the Academic Department Chair at The Art Institute of Colorado. For years, she has built on a skill set which currently highlights her attributes as an expert at working with students, and a dedicated and committed faculty member who shows her true concern for them. She currently teaches three classes, including an externship, Textiles and Matters, and Estimates; she also oversees graduate students, consults with others, and schedules courses. She became involved in her profession after beginning her career as a commercial interior designer in the hospitality industry. When she started teaching part-time, she loved the interaction and energy of the students, and decided to go into teaching full time. Ms. Thornam has done public speaking. She considers herself a true professional because she has a good grasp for what she does and is great with her students. Ms. Thornam describes her work style as detailed, gets things done, easy to communicate and work with. Her greatest career achievement is promoting education.